What are we doing and where are we headed? Teaching and Learning in South Australia Facebook page put up a link to The NMC Horizon Report: 2014 K-12 Edition. New Media Consortium in collaboration with the Consortium for School Networking has been putting out a report about digital impacts in education since 2002. It is the most comprehensive report in this area I have ever seen. It covers everything, it is extremely well articulated and thought out, it gives you information, food for thought, a detailed picture and plenty of reputable outside links to further reading and information. It looks at where we have been and where we are headed and, as ongoing reporting on technology in education, it is invaluable. The image , left , is an interesting one for thought and discussion. 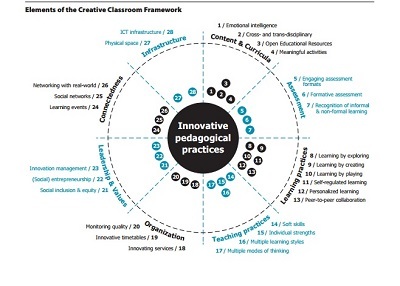 The other image which is very compelling in this report is the comprehensive list of technologies and digital strategies now available to us in schools. Any educational institution now could use this information for an audit, an overview, discussion, strategic planning and training. What do you do when the grand plan falls apart? 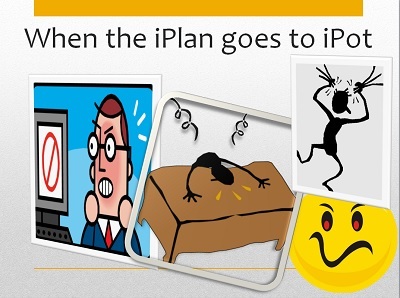 You plan a lesson or a series of lessons which are reliant on technology and then…the iPlan goes to iPot. Like when you book a computer room and find the system has somehow made a double booking. 30 students are waiting in the corridor as you try to work it out. This time it worked out on your side but since there were no computer rooms available for next week to finish the task, then the resolution was still a work in progress. Last time, you gave way and let the other person take the room. So then you wander back to class 15 minutes into the lesson and then what? I usually patch that sort of thing up with a little video. A song or some interesting vocabulary practice. On the way back to class I think of plan B. Sometimes the iPads will save me. Other times they are not what I want. It is a matter of the right tool for the job. This time I renegotiated the home work expectation so what we were going to do in the computer room would be done at home. There – the wonderful flipped classroom solved it. What then if you have 30 students who were presenting last term’s investigative study and you planned to use Apple TV? You get it out , plug it in and nothing. Not working. Later in the week you discover the access points were being changed over so it’s just a matter of patience and time but when you have 30 students sitting there and you can’t easily resolve something you have to resort to plan B. 30 students presenting from my desk plugging in and unplugging their laptops take quite a while whereas with the Apple TV it is practically instant and so you can be far more time efficient. Okay, so we did it the old way and then discovered one student’s screen went blue when she plugged in and then her whole computer froze when we disconnected. A reboot fixed that and then we tried it again and the screen went blue again. In the meantime I had asked another student to present so we wouldn’t be wasting time. So, for the other student, I got a USB stick and asked for the presentation files to be put on there. She had had the sense to export her iMovie to the desktop otherwise that would have been another step to take so we could transfer the files. She then ran her presentation from my MacBook and it all went well. 2. Keep talking and moving the conversation on to get to the resolution. 3. Always have a USB stick and an alternate presentation mode. Do you keep putting folders and shortcuts on the desktop so you can get to current work and files quickly? They are only eating up system resources, you know. 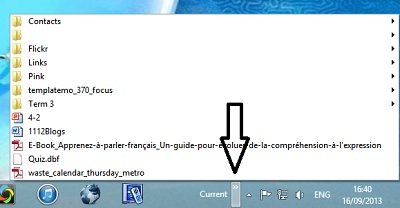 Use the toolbar facility which comes with Windows 8 to create a tidy desktop and a faster computer. Right click on the desktop and make yourself a new folder and put the files and shortcuts into it that you want to. I call mine Current. Follow the instructions and select the folder you just created on your desktop. It will now appear with chevrons (arrows) next to it on the right of your taskbar and you can access everything from there quickly. Admire your nice tidy desktop! 1.Don’t cling on to what you know. 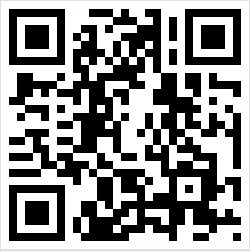 Keep sharing and moving. 3.Check settings and preferences on sites and software. 4.Don’t whinge. Find the work arounds. 5.Be enthusiastic about your discoveries but don’t expect others to do what you are doing. 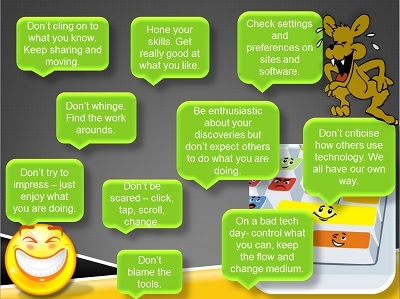 6.Don’t criticise how others use technology. We all have our own way. 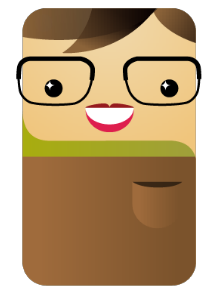 8.Don’t be scared – click, tap, scroll, change. 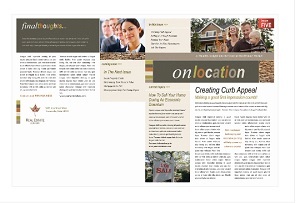 I have used Pages and Microsoft Office newsletter templates for – er – well, newsletters. If I have run a team, I have produced a weekly newsletter to keep us all up to date. It has never occurred to me before to use them to set up assignments and now I have done my first one, there will be lots more! In 2013 they are the perfect way to set up detailed and colourful assignment sheets. My MacBook has the latest version of Microsoft Office for Mac. The template I chose (not the one shown) has some good colours and plenty of spots for pictures. It meant I could easily theme the assignment, organise the instructions and don’t forgets, insert texts to support our learning and the listening exercises I have. I could use some of the boxes for exercises to learn things like the passive voice and the imperfect tense. I could use other boxes for vocabulary specific to the assignment. There is room to add performance criteria and/or assessment criteria but I have to put that on a separate sheet for this particular group of students. With a newsletter format I noticed it made me think logically about what specific content I wanted the students to learn and then what else I could do as scaffolding. I used the plain block coloured boxes to put little bits of reminder information. It meant I could not be too wordy. My belief is this new found newsletter approach will aid clarity of what to learn and how to learn it. I am looking forward to seeing what the students think of this new approach. What I have actually done in a sense is turned my assignment into electronic book format. Now, there’s a thought.